Thank you! It’s one of our new favorites. Every time I read your postings I think to myself, “why do so many refuse to believe good quality food can be joyful to eat! Hope you’re starting to feel comfortable in the new house. These actually look manageable for me! Haven’t seen you around in a while, come visit my blog today! I moved recently and I am only slowly coming back up for air. Please forgive my absence. I am looking forward to visiting my blogging friends. Sounds yummy! I never had a built in grill before. I am using it all the time. I didn’t think it was so rare. I think it’s called a 5 burner stove with a griddle. But now you have really got me thinking about a gas range with a grill or griddle. That sounds really great. I went on line to see what is out there. You can’t imagine. So, when the time comes, look around. Kitchens are the heart of a home. Ooh I will – thank you so much for taking a look! I am really excited about the kitchen – it won’t be mine for more than 6-12 months once finished but it will be a kitchen that hopefully someone who loves to cook will love and that will be job done because you are so right – the kitchen is the heart of the home. I love zucchini too 🙂 Looks great! Zucchinis are my all time love!! I bet these grilled ones will taste delicious!! It was. Hardly any leftovers. Slice them length wise as well. Looks brilliant then!! Oooh I love your new stove! I love cooking on a gas stove, you have so much more control over the heat. 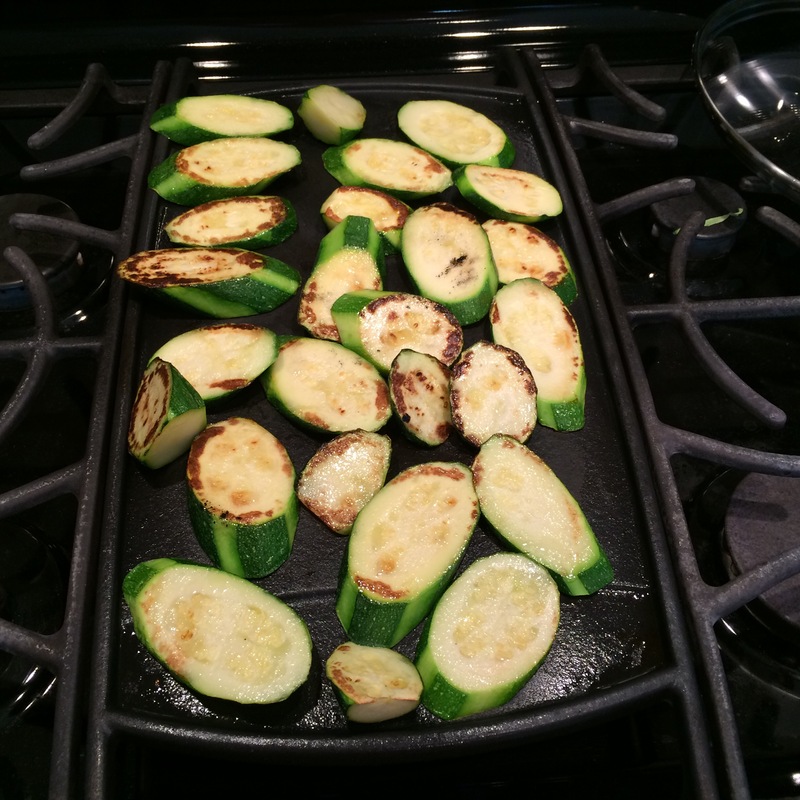 The zucchini’s look delish too! I love gas heat too. When it’s off, it’s off. Balsamic vinegar and oil does sound good! Do you add the vinegar at the end or while its cooking? I used to do this while working in cruise ships. People love it!! Grill it first, once when it goes soggy marinate it with balsamic vinegar, olive oil and rock salt for couple of hours. Wow you will love it!! Oh! That does sound good. 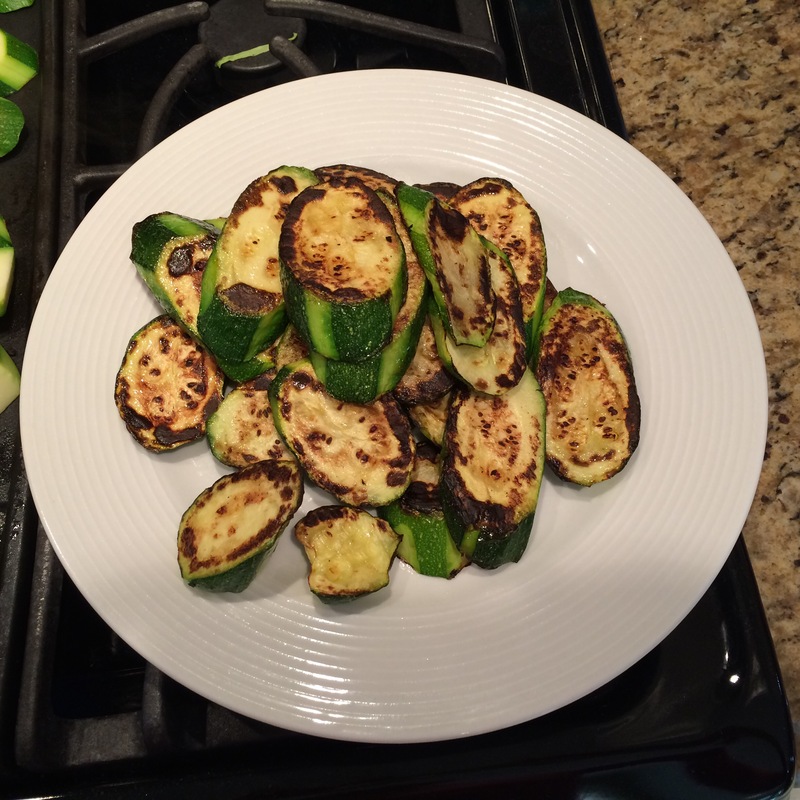 Sort of a grilled zucchini salad. Yum! Do grill aubergines and peppers as well with zucchini, very vibrant and tasty salad!! With the same dressing? Also, how do you cut up the eggplant (aubergine)? Cubed? This is definitely tiny kitchen approved. I was thinking of you when I made it. The griddle is very useful! 😊 our blogs kind of go hand in hand.. a tiny kitchen is perfect for short cooking times and everyone loves short cleanup times.. I never thought of it that way. 😊 I enjoy cooking, but cleaning is not my thing. I do this also, Carol you will be wowed.. It sounds like a wow. 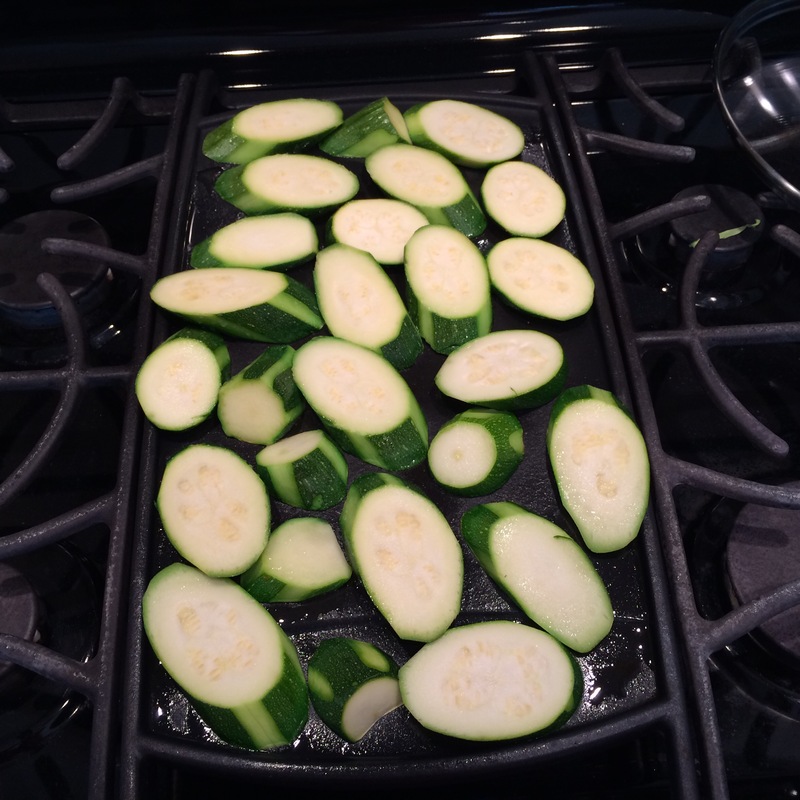 I will have to make a lot of zucchini! Onion and garlic sound good! I like this grill. I don’t need a fry pan either, which is very nice too.